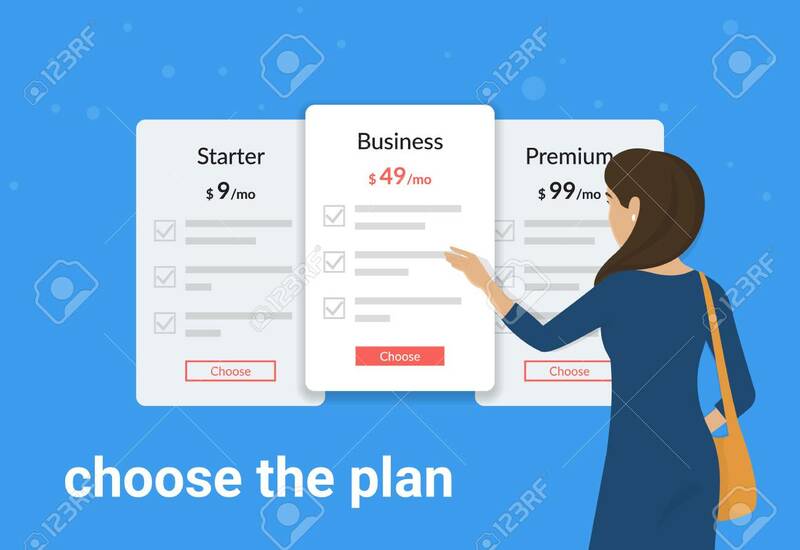 Choose Your Service Or Subscription Plan. Young Woman Standing Near Pricing Panels And Choosing The Plan For Business. Flat Vector Illustration Of People Choosing Between Different Types Of Payment Lizenzfrei Nutzbare Vektorgrafiken, Clip Arts, Illustrationen. Image 110254701.